Is it particularly rare to get the chance to witness the wonders of Antarctica. 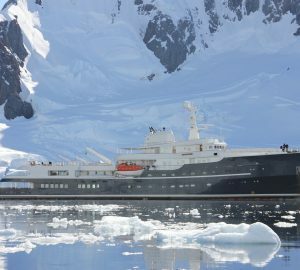 It is even rarer to be able to experience an Antarctica yacht charter with the private freedom of a luxury yacht and a professional dedicated crew and guide. Essentially, what is required is that an owner of a superyacht decides to organise such a voyage to Antarctica on his/her yacht. 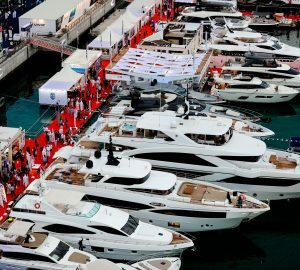 Then the yacht owner need to offer to charter the yacht for some of the time. This is a once in a lifetime event. 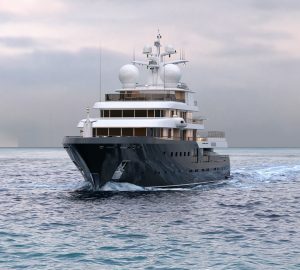 The superyacht can’t just be any luxury yacht either, it needs to be large and capable of the long delivery trip and also extended time offshore, without resupply, so not just any superyacht, it needs to be a specialist expedition (explorer) type motor yacht. These are also a rare commodity, although more are being built. 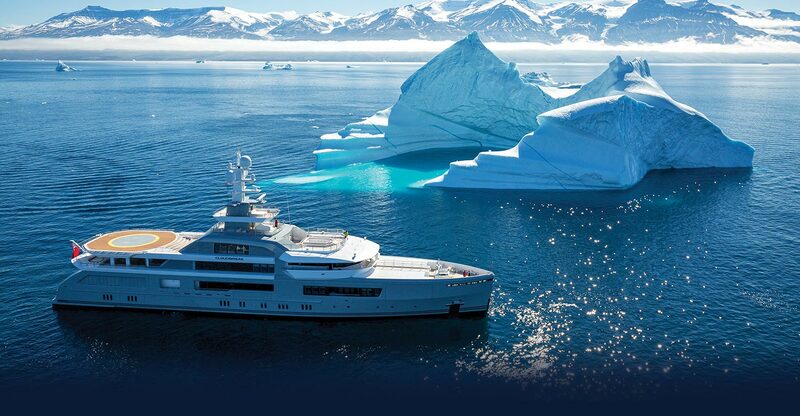 From time to time a superyacht does visit Antarctica and offer luxury yacht charters around the frozen continent. There are several yachts capable of it, an many of them are listed below. 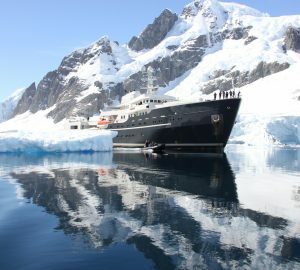 At the time of writing motor yacht BIG FISH is organising a charter in Antarctica. Activities in Antarctica include but are not limited to viewing (not interacting with) the wildlife (penguins, seals, whales, birds, etc. ), climbing, camping, fishing and diving. 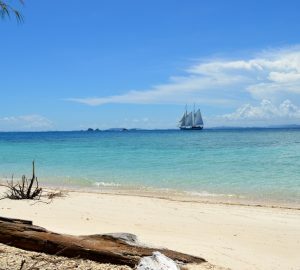 Of course, the best time to go is between November and March, when temperatures range from 20 to 35 degrees Fahrenheit, when sunlight can last 20 or more hours a day. With a professional guide onboard a luxury explorer motor yacht charter you will have the chance learn about the wildlife, historical sites, active research bases and the heroic explorers that first voyaged to the South Pole. Today Antarctica is a place today of vital exploration and research, with projects ranging from ecology to life in space. Most cruises set off from South America – Argentina or the yacht may have left from New Zealand or Australia and can be meet down there. Tourism is closely monitored by the International Association of Antarctica Tour Operators (IAATO) – an organization devoted to promoting and practicing safe and environmentally responsible travel on the continent. 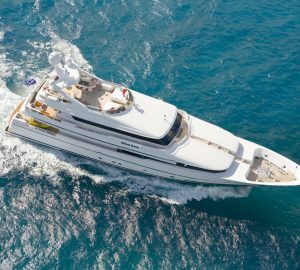 Contact CharterWorld to find out the latest movements of these yachts and whether they become available for an Antarctica superyacht Charter. Antarctica is a fragile and fascinating landscape and eco system. If you are looking for an out of the ordinary travel experience, a luxury yacht charter in Antarctica is the chance of a lifetime. Antarctica is unlike any other charter destination; this majestic place is beautiful and an awe-inspiring, pristine environment. The last frontier on earth, Antarctica is 1.3 times as large as Europe, and twice the size of Australia, yet only a lucky few people will ever get to experience the continent’s true beauty. A layer of ice up to two miles thick covers the continent – an area as big as the United States and Mexico combined. Antarctic ice contains 70% of the world’s fresh water (90% of the world’s ice). If it were divided up, every person on Earth could have a chunk of ice larger than the Great Pyramid. Although 98% of Antarctica is ice, there is land underneath the ice cover, unlike the Arctic where the ice floats on top of the ocean. There are limited humans inhabiting the white wonderland of Antarctica and yet the white continent is home to prolific wildlife such as penguins, seals, whales and other sea creatures who have found remarkable ways to survive in the coldest, driest, windiest place on earth. With a luxury expedition motor yacht charter you will be able to enjoy a once a lifetime opportunity experiencing the indescribable scenery and in style and luxury. In close proximity to The Antarctic are a number of exciting sailing destination.